A few days ago, Mr. Balázs Székely created for Lazarus, a central repository of components that is extremely easy to use. 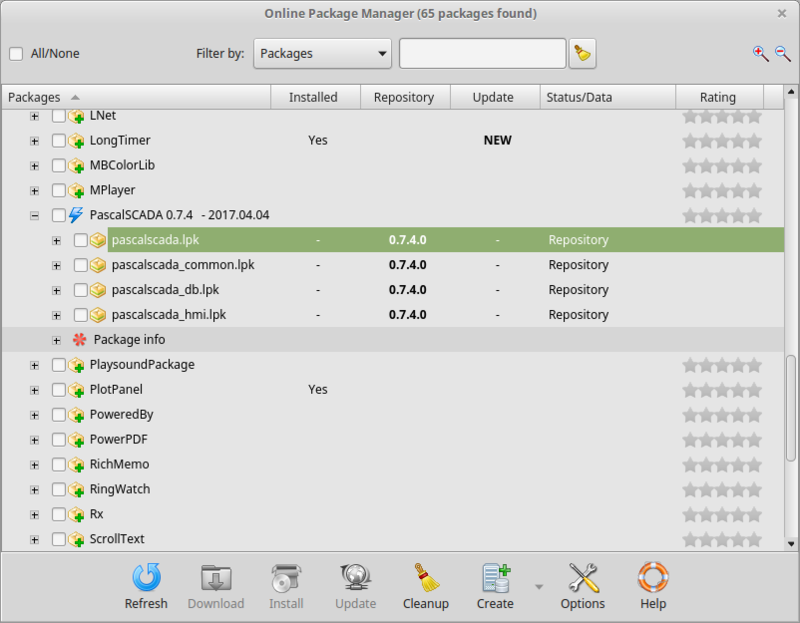 The unique step that needs some skill is the manual installation of “Online Package Manager” or OPM, in your Lazarus IDE. After finish the OPM download, go to the folder where you saved the OPM and extract it. After extract, open the Lazarus and go to menu Package -> Open package file (.lpk) and navigate to the folder where you have extracted the OPM files and open the file onlinepackagemanager.lpk and in the package screen, click on button Use and choose “Install”. After this, wait a moment, and after Lazarus restart, go to menu “Package” -> “Online package manager” and enjoy.